Ford’s new type of engines for the Ford Fiesta will be manufactured in Mexico instead of Winsdsor, Ontario. According to auto workers’ union Unifor, talks with Canada’s federal and provincial governments broke down, meaning the 900 to 1,000 new jobs will be going to NAFTA’s southern member. Mr. Dias said that the Mexican government simply outbid Canada. Like every other nation that is serious about having a strong automotive industry, Mexico was willing to subsidize heavily, he added. Dias called the decision a significant blow, saying the program would have stabilized the Windsor operation for a decade, bringing a new engine program to the facilities. "This was a project that was earmarked for Mexico and we tried to have it diverted to Canada," he told Reuters. "We were close but just couldn't get it over the finish line." Friday, Ford’s chief financial officer Robert Shanks, addressed Windsor on BloombergTV during an interview with Matt Miller. “We can't pull out something that was never going, so, no, that's not the case,” Shanks told Miller. 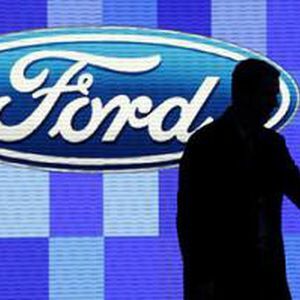 Ford declined to comment on the matter, though it would be at its plant in Chihuahua where these engines would be manufactured. In February, the president and CEO of Ford of Mexico, Gabriel Lopez, announced that the automaker would extend production in Mexico. According to figures provided by Gabriel Lopez, the plant in Chihuahua manufactures just over 450,000 units of gasoline engines per year, while the production of diesel is 600 thousand engines per year.